Home » What is the Best Position to Sleep in After a C-section? Nearly one-third of all babies born in the United States are done by Caesarean Section (C-section). With an average annual birth count of just under 4 million babies born per year in the U.S., there are a lot of women who are struggling with the discomfort of recovering after a C-section. While nearly every movement after surgery is painful, sleeping comfortably is one of the most challenging aspects of recovery. I personally had this problem after my own C-section, and the discomfort left me wondering-- What is the best position to sleep in after a C-section? Everyone naturally has a sleep position that they prefer. For me, it’s on my side with my arm tucked under the pillow, but for my husband, it’s sprawled out across the entire mattress. 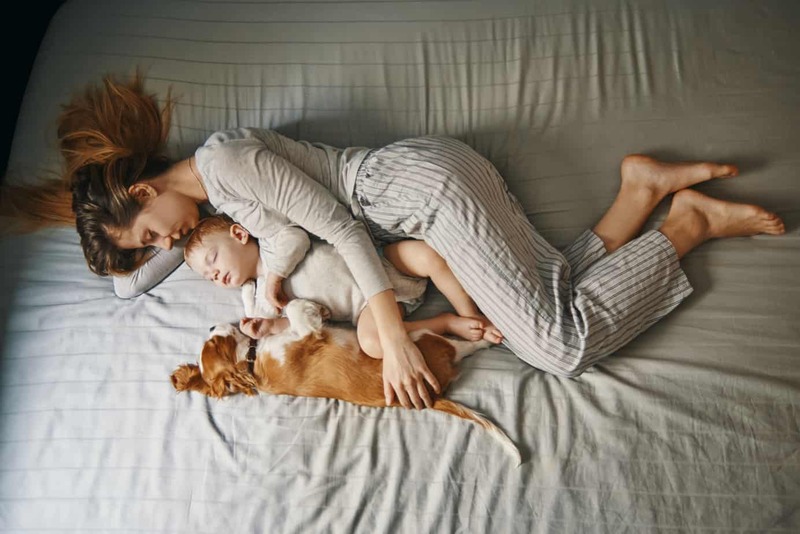 This natural desire to sleep as you have always slept can make falling asleep in a different position difficult, and no single position works for all women who have had C-sections. Some positions may be more comfortable while laying down but can be more painful to get up from. Below, are a list of recommended sleep positions for those who have had a C-section, but you may need to try more than one or utilize a combination of positions in order to get the rest you need. Unlike during pregnancy, where the weight of your belly can make back-sleeping rather difficult, sleeping on your back after a C-section is a well-recommended position as it reduces pressure on your incision site. You can even increase the level of comfort by adding a pillow under your knees. The difficulty with this position though is the amount of strain it puts on your belly when you need to get up from the bed. Sitting up or rolling over from your back can be painful, which is a challenge when your newborn wakes up multiple times a night. It is likely that you became rather accustomed to side-sleeping while you were pregnant. If so, then sleeping on your side after surgery may, in fact, be a good position for you as you heal. After any surgery, pillows can be your best friends, and this is especially the case after a C-section. If you’re having trouble finding a position that works, you may need to do this modification of back-sleeping, and pile up several pillows so that the entire upper half of your body is elevated. This position is beneficial because it lessens incision pressure and can make it much easier to get out of bed. This position is also known for making breathing easier, which may aid in many areas of your recovery. If all the above positions are still too uncomfortable for you, you may find that sleeping completely upright is your best option. Many mothers have spent the first few nights, or even week, after their surgeries nestled in a cocoon of pillows on the couch or in a recliner. Being upright is usually one of the least painful positions to get up from, and can decrease the pressure on your incision site. With the aid of pillows, you can prop up your arms or provide a cozy place to rest your head and neck. This position comes with the added benefit of being an easy way to breastfeed as well and is a position I spent many hours in as I breastfed and pumped milk. Recliners are great because of the extra padding in their cushions and the ability to prop up your legs, and a rocking recliner can double as a place to comfortably sleep as well as a place to feed and rock your baby. Sleep is crucial for our bodies to heal after surgery, but discomfort can make getting the sleep that we need incredibly difficult, slowing our healing process. 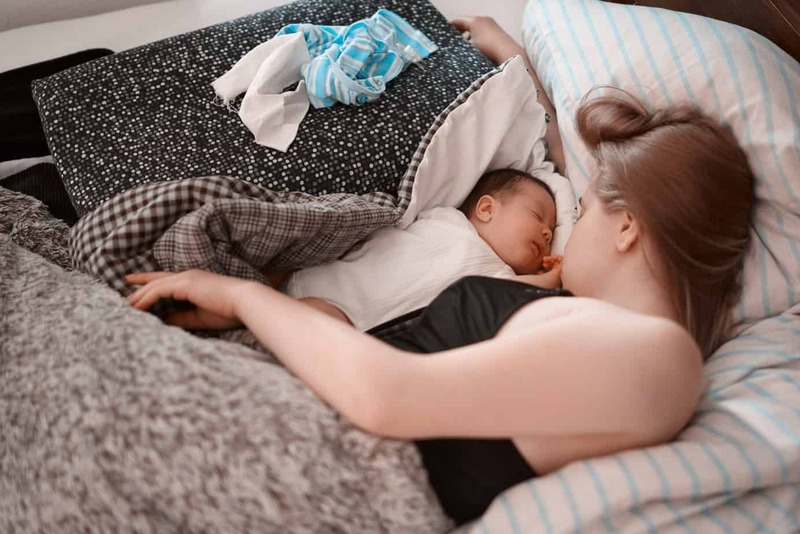 You may find that a combination of the positions above help you to get more rest, but still have difficulty with the pain of getting up to care for your newborn. Don’t be afraid to reach out to your spouse or family and friends if you find yourself overwhelmed with exhaustion and needing to catch some Zs. A C-section is, after all, a major surgery and can sometimes require mothers to need some extra help. In my own case, my husband and mother were lifesavers-- they gave me the opportunity to get the rest I so desperately needed, which allowed me to care for myself and my newborn with less discomfort.